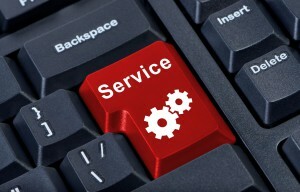 Customer service is what happens when a business truly takes care of a customer’s concerns, it’s about the service. That element of care and service are forgotten way too often, when companies decide to focus on the economic optimization of each transaction. So, if you are thinking of how long an agent spends with a customer and in terms of ROI for every penny spent on customer service, there are a few things I want you to consider. My personal and professional experience has taught me that when it comes to customer service, value cannot be assessed only in terms of money. Strong customer service is critical to building brand loyalty and can serve as your strongest marketing campaign. It is critical to understand the impact of good customer service. Recently I had a very good experience with a vendor on Amazon which really brings home this point. I bought an item worth $10 and paid $5 for shipping. As it happened it was not quite what I wanted and so I ended up having to ship it back for $5. I could have just ended up a very dissatisfied customer except the person who took my call about the return offered me a $10 credit towards future purchase. She didn’t make anything on that sale but she sure earned my gratitude and repeat visit! We all know that customers who leave with a good impression are most likely to come back for shopping; it is also true that those who have spectacular customer service experiences are likely to talk about it making sure your website or company gets a lot of word-of-mouth advertising. No paid campaign can beat that! Value and service to a customer is not always a matter of a discount or cash awards. Sometimes it is a matter of appreciating the time a customer is spending on a transaction. In the busy lives we all lead, time truly is invaluable. I found it very frustrating when I was trying to connect with my health insurance company. First of all the phone system was a maze on which I had to make numerous selection before miraculously reaching a human being. And then she told me her computer system was down and as she could not bring up my information, she asked me to call back later! This kind of experience is not unique to this situation, as many of us have come to expect horrendous telephone customer service. However, companies like Apple which have provided the option of scheduling tech support calls show us that there is an alternative. There are companies that allow you to email and request a call from a customer service rep at a specified time. This allows both parties to eliminate the frustration of long a meaningless waiting times. Customer service has to go beyond the obvious front-end experience, well- designed end user experience is a good way to increase customer engagement. If your website is easy to use, that will get you brownie points with customers. Make it easy for customers to find relevant contact information such as phone numbers and email addresses. Offer service rep chat options where possible and follow through promptly. The customer visiting a website is a prime target but one who can be easily lost if the navigation is complicated. Remember, customer service actually starts on your website, this is your prospect initial contact with you, if it’s frustrating from the start, it will be harder to earn their business. If your customers are calling for support on the phone, I highly recommend giving them a ‘press 0’ option as it can help them reach someone knowledgeable without high levels of frustration. This early intervention may well make the difference between a mollified customer and a miffed customer! If at all possible, consider a way for tracking customers through the process of a resolution. If they get to interact with a ‘known’ agent and if they can avoid repeating their story 5-6 times, it is easier to avoid very frustrating interactions. In designing processes, again consider customer convenience. I recently bought something from Zara for store pickup. It was not clear at the time of purchase that I have to wait for two emails before I can actually collect my item. This meant a two week wait for emails when my expectation was that I would get the item a lot sooner by going to the store rather than having it delivered. Zara didn’t anticipate customer expectation and so their promise of store pickup felt incomplete to me. Now I’m not likely to seek out Zara and may buy something there if I happen to be near a store. In setting up your business process, whether you’re handling customer service yourself or you are employing staff, make it a point to emphasize that it is an important arm of your organization. It should not be seen as a place where you dump your unhappy customers but as a point of building strong relationships. Make your customers feel like they are heard and that their concerns matter to you. This will make them come back and will make them recommend you to their friends and family. Customer service policy should be about the big picture. One way I think of it is, if it’s a return policy that makes your mother cry foul and cringe, it is a useless policy. Think not only in terms of losing money on one transaction but of creating a long-term customer base. Don’t hide behind your company policy, don’t you just hate it yourself when you hear “Sorry, it’s our company policy” Yikes! From the beginning of commerce, from the days of the barter system, customers have wanted the same basic things – value for money and a sense of being treated with respect. This gives them a reason to trust a vendor and keeps them coming back. Make it worth their while and you are well on your way to success!